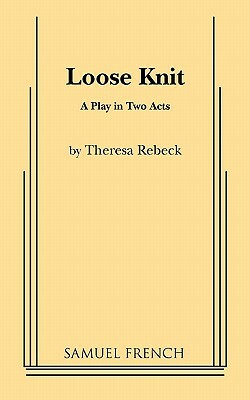 Loose Knit (Paperback) | The Drama Book Shop, Inc. Combination set: interior and exterior. Once a week in the heart of New York City five women gather to knit. As the sweaters pile up, their lives fall apart. Liz is having an affair with her sister's husband, Gina's lost her job, Paula is having an identity crisis, and Margie just wants a date. Into their lives steps Miles, a cool businessman who made his first million before he was thirty and is now looking for a wi.